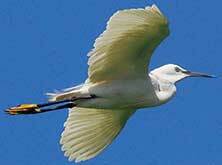 Owls, larks, cuckoos, wrens, warblers, or sunbirds, it is so easy to watch birds. You see some and many you simply hear. But do we? January is that special season that all birdwatchers, amateurs and professionals alike look forward to. They scramble to various places to observe, record, discuss those feathered friends that have migrated from the colder regions of the earth to our country. And on specified days in January the experts carry out a ‘waterfowl census.’ This is an exercise in bird census, to keep track of their migration, numbers, etc. For those interested in bird watching or wanting to know more about birds, this exercise is a good place to begin. Almost all cities have Natural History or Nature related societies that have expert birdwatchers, who will allow you to join and learn from them. Watching them is as interesting as watching birds, for this is the one time all adults become children, jumping around, shouting in joy, and generally behaving in a manner that is less adult like and more childlike. But you don’t have to wait for the migratory season to see birds. Some of them are residents and live amongst us, only we don’t notice them. I share with you some birds that do not migrate but stay where they are all year around; and some that make their appearance around October and return around February when summer sets in. Birds can be a topic of study not just in biology or environment science but even in maths, chemistry, physics, social sciences, economics, languages, art or music – in short for a topic in any subject. The author is a consultant for science and environment education. She can be reached at scopsowl@gmail.com.